As the 21st century marches ever onwards, spatial cognition is increasingly being called on to visualise, invent and understand complex ideas and systems, both natural and human-made. For many years the Technologies Faculty at Girls Grammar has prepared spatial literacy education that has included generating 2D nets that fold into 3D geometric shapes—modelling concepts and creating orthographic and isometric projections. The teaching of traditional industrial drawing skills includes scaling, hidden detail drawing, measuring and making in millimetres, estimating, designing and constructing. These skills are essential foundational learning that lead to fluency and complex reasoning in spatial literacy. The rapid advances in the adoption of virtual and augmented reality and various software applications allow us to generate and use spatial learning much more prominently. 3D modelling tools such as Blender, SketchUp, Tinkercad and Tilt Brush help our students advance their spatial skills and better comprehend how to create and work with geometric shapes. 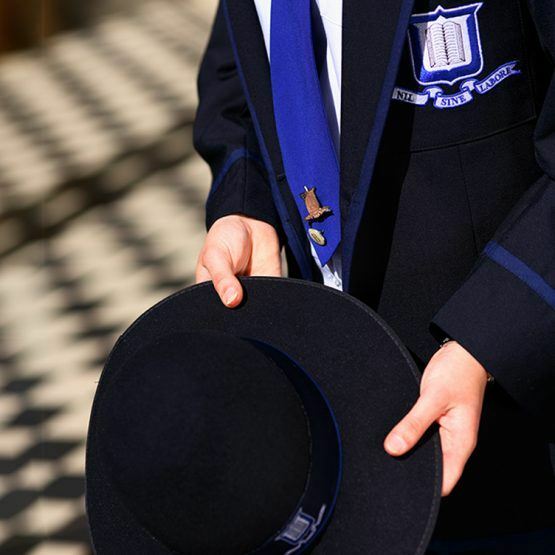 Spatial literacy forms an integral part of assessment programmes such as NAPLAN and the Queensland Core Skills Test. Numerous research studies have revealed that gender differences in spatial literacies do exist through social, cultural, environmental and psychological factors, with spatial literacy forming the largest of all gender differences (Andrews, Neumann and Reilly, 2016). However, it is also well documented that all students—regardless of gender—can be trained to improve spatial reasoning (Uttal et al., 2013). At the recent National Education Summit, I presented on ambitious ways schools can integrate digital and design technologies to improve spatial literacy, discussing a blueprint curriculum that examines how spatial literacies can be enhanced through school-wide pedagogy advances. The core focus of the blueprint investigates smarter ways schools can link spatial literacy with the academic disciplines of mathematics and technologies. In doing so, I envisage a stronger correlation between spatial ability and success in science, technology, engineering and mathematics courses. We are currently investigating the time of study and type of activities being explored in spatial literacies for all Year 7 and 8 students to improve the ways we link spatial literacy theory, practice and applied learning in Technologies and Mathematics. One way we currently do this at Girls Grammar is through an annual learning day for Year 8s, The Quest. 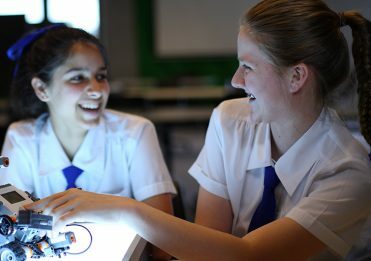 The Quest was developed by Technologies with the support of the Mathematics Faculty and sees Grammar girls working in teams with boys from Brisbane Grammar School to respond to a design brief for a ‘structurally efficient system to hold a payload the furthest distance from a fixed point’. This year, The Quest involved about 550 students across 108 teams. The teams who spend the most time in design thinking and collaborative prototyping prior to finalising their development often have the most technologically refined and unique solution. This observation reinforces the importance of building spatial aptitudes to more clearly present concepts and design ideation in the testing phase, prior to development. We find that it is important to keep the students in the process of collaborative design thinking and sharing ideas in open-ended experimentation so they can more clearly visualise how forces, structures and cantilevers take place. This is central to their final success.